Kate Middleton appears to have been inspired by a friend of sister-in-law Meghan – picking up the same dress her former Suits co-star Abigail Spencer wore to the royal wedding. 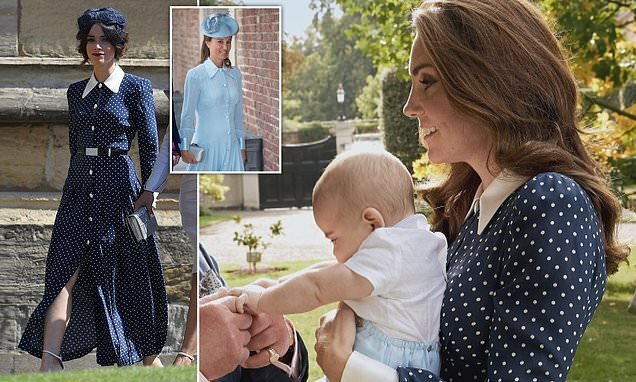 The Duchess of Cambridge, 37, wears the £1,750 polka dot midi by London-based designer Alessendra Rich in a newly released photo of her with father-in-law Prince Charles, 69, and six-month-old son Prince Louis. The frock first made headlines around the world when it was seen on Abigail, 37, donned at the royal wedding at Windsor Castle in May – and the same number was later spotted on guests at all of the summer’s most glamorous events. Among them was Kate’s younger sister Pippa Middleton, 35, who wore a custom baby blue version of the flattering crêpe de chine dress for nephew Prince Louis’ christening in July. The dress featured the same silhouette – including a statement collar, puffed sleeves and pleated skirt – as the original must-have design. The dress has now sold out in most sizes online, but is available through some outlets for £1,750. 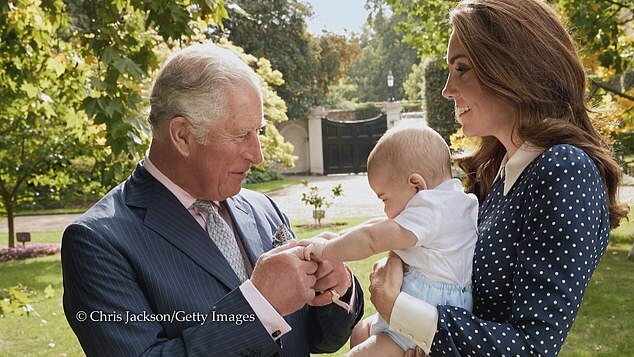 In the image released today Kate is seen holding Louis out towards Prince Charles, who gazes lovingly at his grandson as he takes his hands. It was taken in September in the gardens at Clarence House, the prince’s official London residence. The never seen before photograph was featured last night in a fascinating BBCdocumentary marking the heir to the throne’s 70th birthday next week. The shot only shows Kate’s head and shoulders so it is not clear how she styled the frock however she wore it with her thick brunette locks in signature loose waves around her shoulders. 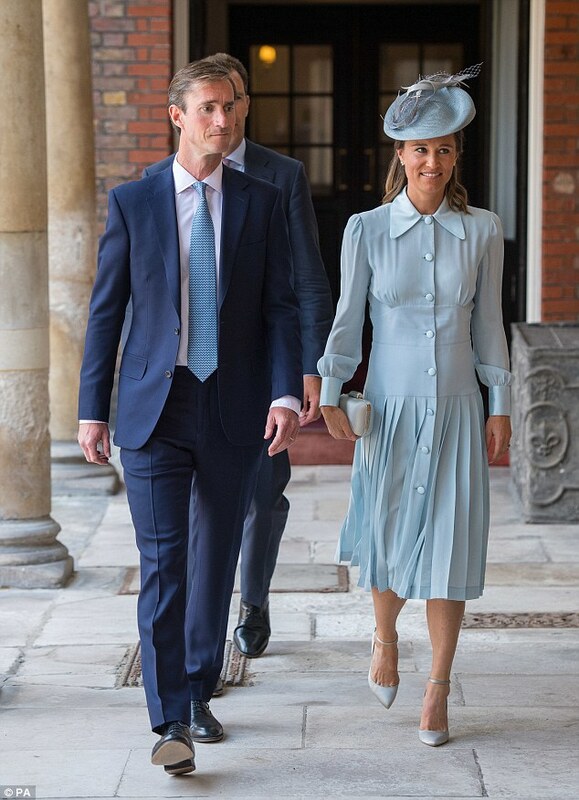 Younger sister Pippa teamed her dress with a statement hat in the same shade of blue and towering stiletto heels as she attended nephew Louis’ christening at the Chapel Royal at St James’s Palace, along with husband James Matthews. Rich confirmed to People that Pippa’s dress was bespoke, adding that the Duchess of Cambridge’s younger sister had chosen the pale blue colour. ‘This is the first time Pippa has worn the label and we are delighted – she looked beautiful,’ the designer said at the time. Abigail, who arrived for the wedding with Meghan’s BFF Priyanka Chopra, won widespread praise for her take – teaming the dress with on-trend white heels, a neat blue hat with veil and a black belt to further nip in the waist. It comes as the brand’s polka dot dress has swept the social circuit this season, including on actress Sarah Jessica Parker. 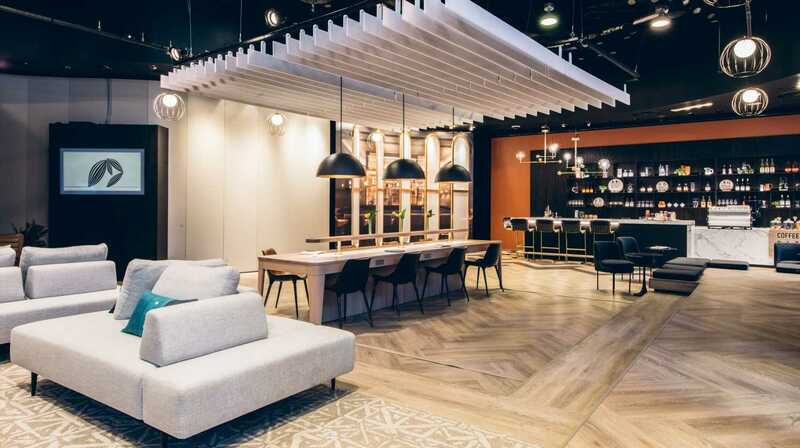 Other stars to have been spotted in the design include model Christie Brinkley and Star Wars actress Daisy Ridley. The frock comes from Alessandra Rich’s SS18 collection and features statement cuffs and an oversized white collar. With a nipped-in waist and ‘flippy’ flared skirt, it boasts an ultra-flattering silhouette for every body type. According to the designer, the SS18 range ‘took inspiration from Alfred Eisenstaedt’s 1945 image of a sailor embracing a stranger in Times Square’.